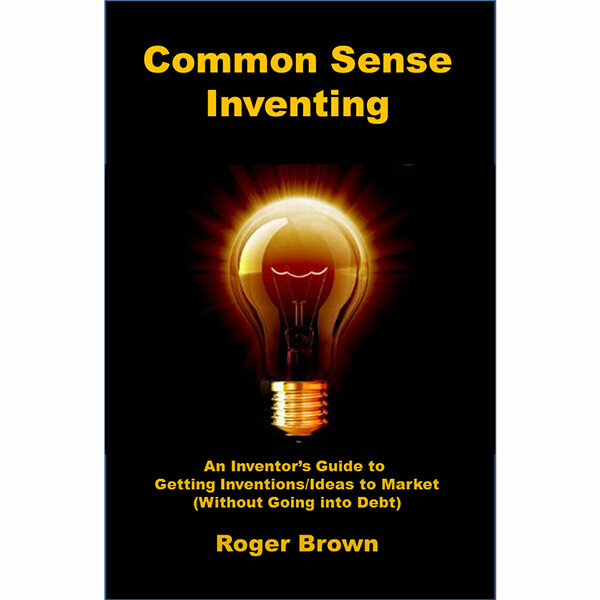 Common Sense Inventing delivers the Inventor a practical, no nonsense approach to getting your product licensed and on the market that works. Roger Brown is a successful national award winning Serial Inventor with numerous products on the market. Most of them he invested less than $100 and in some cases as little as $8. Using only an NDA (non-disclosure) and a sell sheet he found success in the toy, tool, kitchen, eyewear and nuclear industries. This book is a practical guide that explains how you can do the same without going into debt. Get your products licensed without going in debt….. explained in Plain English. Discover how to avoid mistakes and pitfalls Inventors make every day that can cost you success. Learn how to get your product in front of the right people and make the right first impression. See examples of actual sell sheets and the products that were licensed based on those sell sheets. You get to see how some products change from beginning to end in order to make them more marketable. Check out the full listing of industry terms and definitions you need to know in order to make an informed decision. No more guessing what the other person is saying when they use terms or acronyms you have never heard before. What to do first when you find that money making idea with straight forward advice and tips that work to make you successful and avoid getting scammed. Common Sense Inventing contains 200 pages of useful information and illustrations you can use to get started today. Learn from a successful Serial Inventor that saved a company 4 million dollars a year using only $200 in materials. Stop wasting money and learn techniques that work. If you want realistic information and straight forward advice this is the book you have been looking for to get you started and find success.